There ongoing protest by youths in Rivers state in support of SARS. According to them,there will be increase in killings if you end SARS in the state. 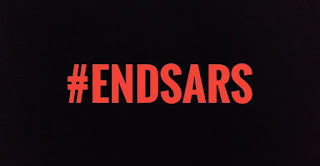 Most interesting part of this #EndSARS is that, as it was heard and seen "The government paid some set to protest against the EndSars with the slang of #SupportSars. The same people paid N1000 to rally for #SupportSARS will be paid the same amount to buy their votes in 2019. Funny thing is that the elite will not come out in the sun to vote, come 2019, it's this same cheap voters that'll come out. Look at the faces of the people who partook in the #SupportSARS rally. They are the end result of our enslavement to governments we voted in by ourselves. Majority of Nigerians can be bought to rally with just #500. This government said nothing about the SARS issue or acknowledge any issues about their brutality but when we decide to do an #EndSARS rally, they in turn decide to run a #supportSARS rally and pay media houses to get involved. Nigerian Youths are the most confused set of human being in the whole world.